Santa Maria Hostel prides itself on a trauma-informed, caring, compassionate and highly trained staff to provide the best possible services to our clients. Nadine Scamp, before arriving at Santa Maria, spent twelve years with Volunteers of America Texas working her way up from Director of Program Development to Regional Director/Chief Operating Officer and Vice President to the state’s Chief Program Officer. She holds a bachelors degree in psychology and a master’s degree in social work. Nadine’s passion is serving women and families who are recovering from addiction and trauma through the creation of programs and larger scale community change that promotes healing, hope and a solid foundation for long term success. 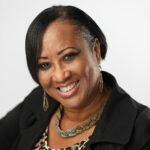 Barbara Page joined the management staff of Santa Maria during 2006, bringing with her over 20 years of high level financial experience with non-profit organizations both in Houston, Texas and Richmond, Virginia, as well as medical group management and private financial and business development consulting expertise. 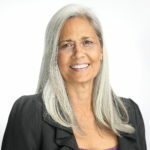 Although Barbara has managed the fiscal operations of businesses with revenues in excess of $18 million, her passion has been to work with organizations where revenues have an opportunity to change lives. From her years of dedication to the start-up of a residential non-profit organization serving abused and abandoned children, to leading a shelter for homeless women and children into an era of unsurpassed growth made possible through sustaining private donations coupled with over $500,000 in private foundation grants, Barbara has also excelled in the areas of development, grant writing, human resources, and operations. She is proud to be able to bring the strengths of this multi-faceted background to her position as Santa Maria’s CFO. 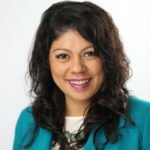 Janet Deleon has over 15 years of experience working in the education and nonprofit sector.Her primary roles have included serving as bilingual media spokesperson, leading public relations, marketing and fund development projects. Janet is originally from El Salvador. She enjoys learning about different cultures while being involved with organizations that empower and impact the lives of diverse communities in need; which she has found deeply rewarding. She has worked for the Houston Community College, AVANCE-Houston, and Southwest Schools; a charter school district. 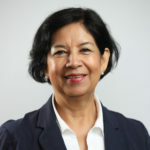 During her tenure with AVANCE-Houston, under Janet’s leadership, her team was honored “Nonprofit Communications Team of the Year” by the Public Relations Society of America-Houston in 2012 and 2015. Ms. Deleon and her team also earned an award for “Internal Communications & Video Production” by the Business Marketing Association-Houston in 2016. Now, Janet is glad to be part of the organization and she looks forward to helping contribute to the advancement of its mission. Ms. Deleon holds a Bachelors degree in communications from the University of Houston and she’s currently pursuing a Masters in nonprofit management. She serves on the Board of Together in Hope (TIH), an organization that helps impoverished communities in other countries including Ethiopia and the Philippines. Donna White has been in the field of addictions since 2000. She received her associate’s degree in Mental Health from Houston Community College and currently attending University of Houston-Victoria and is in the Criminal Justice Program. 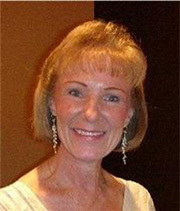 Sharon Perkins has served as Sr. Director of the Criminal Justice Programs with Santa Maria Hostel since June of 2010. Ms. Perkins obtained her Bachelors of Science Degree from the University of Houston – Downtown with the focus on Interdisciplinary Studies. Ms. Perkins has over 20 years of treatment services and has worked in many diverse programs offering substance abuse treatment services to adolescents and adults. 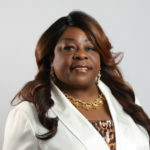 She has also provided intervention and substance abuse services at several middle schools, high schools and some alternative schools within the Houston Independent School District. 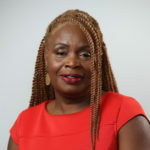 In 1999 Sharon served as clinical program director for an adolescent outpatient center; providing treatment services for incarcerated adolescents. In addition, Ms. Perkins has assisted several start-up treatment centers assisting in the development of their program curriculum. Ms. Perkins’ believes in her commitment to the women of Santa Maria Hostel. Her responsibility to each woman she assists is so that they have the opportunity to seek a better quality of life that will benefit the individual and her family. Her favorite quote is from the great Nelson Mandela: “Education is the most powerful weapon which you can use to change the world”. When away from Santa Maria, Ms. Perkins devotes her time and efforts in assisting the youth of her community in realizing their desire and goals of obtaining education from institutions of higher learning. 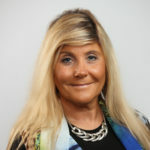 Amelia Murphy is a woman in long term recovery with a strong advocacy for the Peer to Peer model in the recovery community. She was among the first graduates of Santa Maria Hostel, Inc. in 1990 and upon graduating the program she became a member of Santa Maria Hostel, Inc. Alumni Association. Amelia is currently doing undergraduate studies in Psychology with Walden University. Amelia has completed two Recovery Coach Trainings and Train the Trainer Certificate in Houston & Austin Texas. Currently, Amelia is a member of the Recovery Oriented System of Care-Houston and join the Recovery Advocacy Committee. Amelia has accomplished being the first recipient of the 7th Annual Houston-Harris County Regional Candlelight Vigil as the Recovery Advocate of the Year for 2013. Amelia invitation in 2013 to SPECTRUM as the first Peer Recovery Support Specialist to facilitate a session for Women Recovery Support Services. Amelia has been working in many capacities with the drug and alcohol treatment field for women and their children. She has a passion for people who need recovery coaching as part of the continuum of care. She focuses on chemically dependency, trauma support, mental health support, dual recovery support (DRA) incarcerated, indigent and homeless individuals. 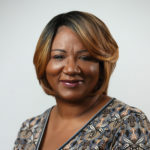 Today, she serves as the active member with The Reentry Coalition, The National Council for Community Behavioral, Houston Super Neighborhood Council and is successfully fostering relationships among a wide range of various Coalition Partners, Criminal Justice Practitioners, Harris County Drug Court, Texas Department of Criminal Justice, Harris County Jail, law enforcements groups, and other community committees that serve recovery efforts. Teresa Garcia has been in the field of substance abuse prevention and social services for almost 30 years. She became involved in substance abuse prevention and early intervention in 1989 in Cameron County, STATE where she worked as a Family Intervention Specialist for the Cameron County Housing Authority. She also worked at Tropical Texas Mental Health and Mental Retardation Authority as a case worker, where she received extensive training in mental health. She loved her job working with children and adolescents in the children’s unit. In 1997 Mrs. Garcia received her Texas License in Chemical Dependency (LCDC). The same year she moved to Houston where she worked in a non profit organization for 10 years in a prevention and intervention program working with youth and families. She was promoted to supervisor of a family literacy program in the same organization which she did for 7 years. Prior to Santa Maria Hostel, Mrs. Garcia worked 6 years as a Director of Prevention Services at Volunteers of America, Texas. With a background in management, she was able to combine her management skills with the passion she found working with families and children. 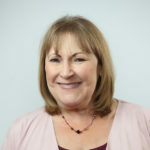 Teresa came to Santa Maria on September 2013 as Co-Director of two outreach programs: Youth Prevention Services (YPS) and the Prenatal and Postpartum Intervention program (PPI) – Caring for Two. 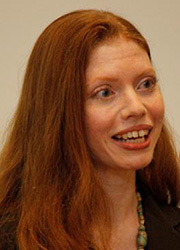 She is currently the sole Director of both programs. Purposefully making a difference, which has a lasting impact, is what Carmen loves to do. At Santa Maria, so many opportunities present themselves in which she can utilize the skills obtained from years served in the military, corporate business, and non-profit organizations. She has learned from obtaining her master’s in counseling, to cultivate and develop self-awareness so that she can better serve clients and staff more effectively. Through these life experiences, she has learned to be kinder, gentler and more encouraging, while maintaining appropriate boundaries. Her greatest joy comes from helping others lead healthy, successful, productive, self-fulfilling lives. Cynthia Turner-Robinson began her career with Santa Maria Hostel in November 2012 and brings over 8 years of experience with her. Cynthia has tought an Empowerment group at Santa Maria since September 2013; where she continues the mission in uplifting our women. In her role as Senior Director of Community Engagement, Cynthia helps us to build and strengthen our community, church and corporate partnerships. She develops new opportunities to build a sense of community amongst our participants and families, and to expose them to and engage them with the community at-large. Jennifer Helley, MHA, MBA, is Santa Maria’s Senior Director of Development. Ms. Helley graduated from Texas A&M University with a Bachelor of Business Administration degree and continued her education at the University of Houston-Clear Lake, receiving both a Master of Healthcare Administration and a Master of Business Administration degree. Jennifer joined Santa Maria in 2008, bringing a background in healthcare management, new program and fund development, outcomes management and community relations for non-profit healthcare, behavioral health and public health institutions. At Santa Maria, Ms. Helley utilizes her over 20 years of experience to create new programs and research and develop new and continuation federal, state and local government grants to meet client and organizational needs and support Santa Maria’s extensive continuum of care. 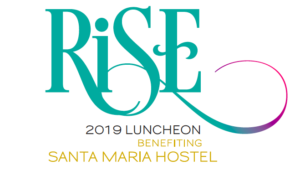 Highlights have included Santa Maria’s VIEWS program for female Veterans, SAMHSA-funded MIRRORS pregnant/postpartum intervention program, and Santa Maria’s onsite CARE Clinic. De’Audra Whiting is a military veteran who served 7 years in the Army and has over 20 years experience working in the field of Mental Health and Substance Use Disorders. She has a B.S. in Health and Human Services, and a MBA in Non-Profit Management. Ms. Whiting is a Nationally Certified Addictions Counselor, and a Licensed Chemical Dependency Counselor. She is currently in the Graduate Program at Springfield College to attain a M.S. in Mental Health Counseling. 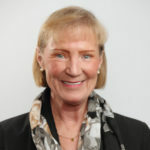 Ms. Whiting has experience in Outpatient, Residential and Mental Health treatment services for adolescents and adults. 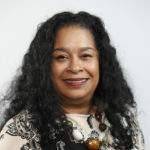 She provided education and intervention and prevention services for at risk adolescent populations in the Houston, Fort Bend, Lamar Consolidated, and Stafford Independent School Districts. 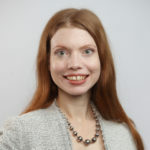 She has over 10 years experience at the management level and has worked for several for-profit and nonprofit organizations in Brazoria, Fort Bend, and Harris Counties. In 2003, Ms. Whiting joined the treatment team at Santa Maria Hostel as a COPSD Counselor. In 2005, she was promoted to the Director of the Co-Occurring Psychiatric and Substance Disorders Program and the Director of Outpatient services. 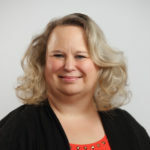 In 2009, Ms. Whiting was hired by the Texas Department of State Health Service, Regulatory Division as a Senior Investigator for Substance Abuse Compliance. This experience has provided her with a wealth of knowledge in Regulatory Policies and Procedures governing Health Facility development, design, and implementation; Program and Contract Quality Management; Health Facility Compliance, and Licensure; Professional Licensing; and Health Facility Enforcement. In September 2017, Ms. Whiting returned to Santa Maria Hostel as the Senior Director of Quality Improvement. Ms. Whiting is excited about rejoining our team. She is dedicated to service excellence and is passionate about the mission, vision, and values of this organization to help women and their families recover from the disease of addiction.